The Young Knives, Paul McCartney & Michael Jackson, Nerd Feat. Kelis & Pusha T, • Laurel & Hardy, The Maccabees and more. 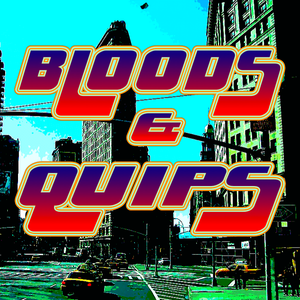 The third episode of Bloods & Quips, who would&apos;ve thought we&apos;d make it? This week, Liam has an encounter with pitbull-wielding teenagers! Luke gets abused by some different, non-pitbull-wielding teenagers! Dean says the wrong thing to some innocent bystanders! All this, plus chat, tunes, dodgy salesmen, gritty documentaries, and a Westwood clip show!